2012 was a busy year with sport regarding the Olympics and Paralympics whilst, within the heart of London’s menswear committee there was the launch of the London Collections: Men which celebrated menswear from all designers. Amongst the events and press there was one particular Designer who gave to her all during the running up to the Olympics and Paralympics. This designer was Stella McCartney. As a part of the Queen’s New Year’s Honours list Stella McCartney features on it regarding being nominated on receiving an OBE for her services to the fashion industry. This comes after McCartney’s creative vision of creating Team GB Kit for the Olympics and Paralympics. 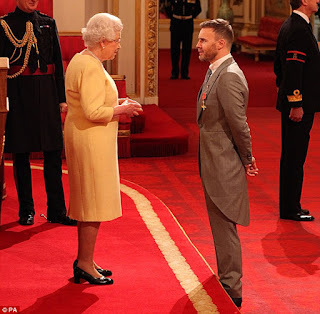 Amongst McCartney the Honours list also features a list in which celebrates our Athletes from a knighthood to cyclist Bradley Wiggins and sailor Ben Ainslie, while para-cyclist Sarah Storey was made a Dame. CBEs were awarded to distance runner Mo Farah, cyclist Victoria Pendleton, heptathelete Jessica Ennis, rower Katherine Grainger, and Paralympic wheelchair athlete David Weir. LOCOG chair Lord Sebastian Coe has been made a Companion of Honour. However, the New Year’s honours list celebrates and pays tribute to people who have done extraordinary events or duties to a certain subject. See all the knights, dames, commanders and members of the British Empire in the 2013 New Year honours list here.